As a fast-paced, hustling city that, finding ways to relax, unwind and reconnect with yourself can be challenging when visiting one of the world’s busiest cities – Los Angeles. Enter forest bathing– and we don’t mean the type that requires a bath bomb. Perfect for every person living a modern, multi-tasking life, this latest wellness trend takes place in the great outdoors and offers more than just a walk in the woods. The Japanese tradition of Shinrin-Yoku (translated as forest bathing) involves a slow, mindful stroll, awakening your senses and boosting mindfulness in nature—stopping to smell the roses is heavily encouraged. Forest bathing has been scientifically proven to boost immune strength, reduce stress and improve cognitive functioning. By surrounding yourself in stillness and quiet, you’ll be able to connect with nature deeply and in a personal way that helps you discover a new side of yourself. To help get you started, Discover Los Angeles has rounded up four perfect places for forest bathing, where you can escape the busy city and trade in the sound of cars honking with birds chirping. Turn your phone off, awaken your senses and start wandering. 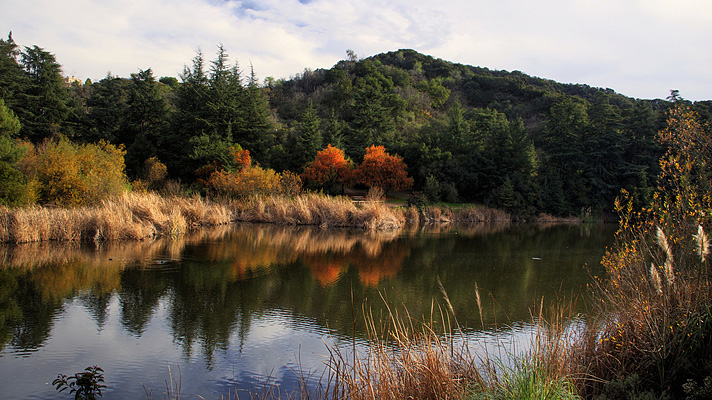 Situated near Benedict Canyon at the eastern end of the Santa Monica Mountains, Franklin Canyon Park features a 3-acre lake, a duck pond and over five miles of trails. Forest bathers can discover the rich plant life, the variety of indigenous wildlife and enjoy the forest known as a bird watcher’s delight during this eco-friendly therapy. City dwellers and travelers alike can escape from the hustle and bustle of L.A.’s city life and begin their dive into forest bathing at Griffith Park. Featuring almost 113 kilometers of trails, the park offers numerous landmarks perfect for forest bathers. 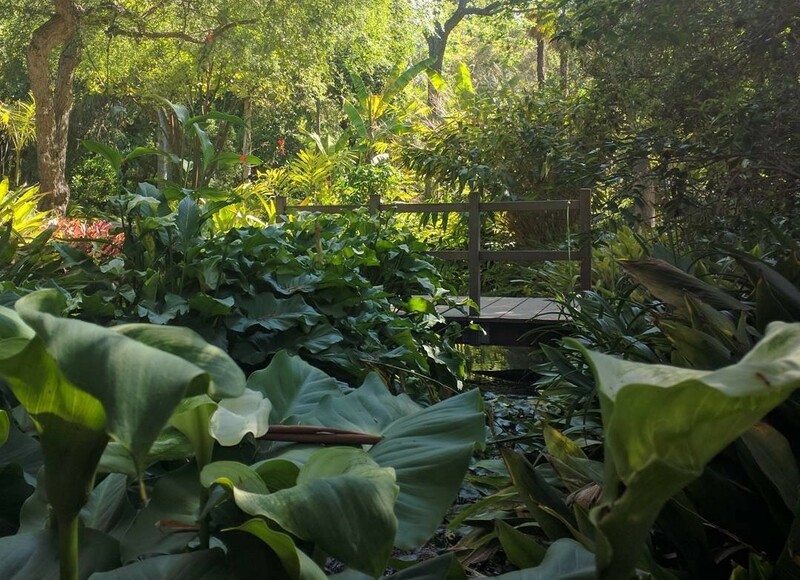 Amir’s Garden, a hidden gem of a lush oasis with tranquil vibes, and Ferndell, a winding trail filled with tropical plants and flowers, are ideal spots to take in the healing effects of the park. SuihoEn, Garden of Water and Fragrance, is a 6.5-acre authentic Japanese garden created to provide beauty, relaxation, inspiration and a better understanding of Japanese culture using reclaimed water. 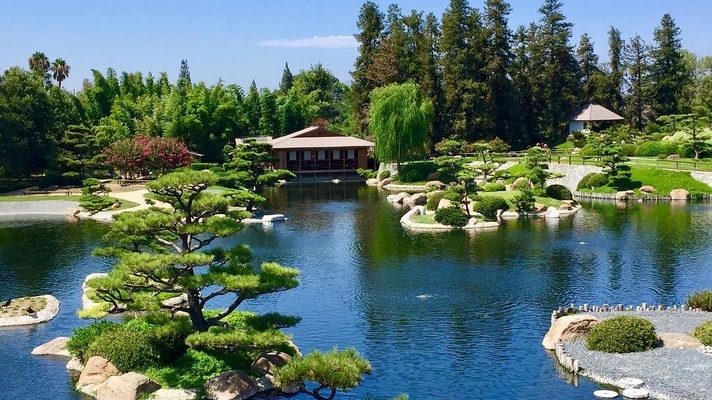 Though not a typical forest, the Japanese Garden features a dry Zen meditation garden containing Tortoise Island, a three-Buddha arrangement of stones and a garden with waterfalls, lakes, streams and abundant greenery, leading bathers from freeway traffic into a meditative calm. 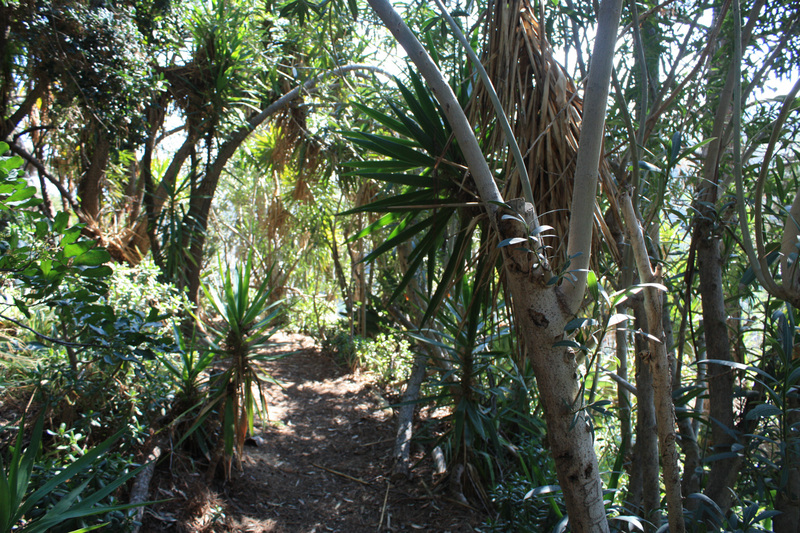 Students of UCLA looking to get away from the books and destress can give Mildred E. Mathias Botanical Garden a visit. Nestled within the campus in Westwood, the 7.5-acre garden is a living museum featuring one of the most important living botanical collections in the U.S. Add the stream and series of ponds running through the centre, and you have the perfect setting for self-reflection.